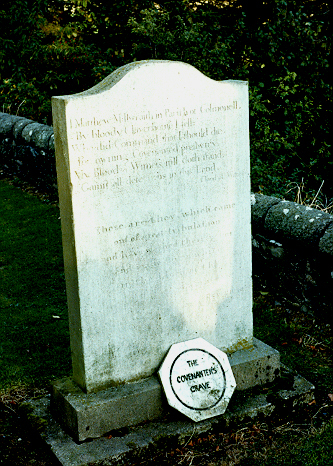 Matthew MacIlwraith was shot near to Colmonell by the soldiers under John Graham of Claverhouse. The headstone to Matthew MacIlwraith is located on the south side of the parish church at Colmonell. One side of the stone has a moe modern inscription, commemorating a later family. 'Gainft all defections in this Land.